Privacy, heated inground pool and inviting brick home with basement and bonus room! This home has it all. 2 parcels being sold together for a total of over 9 acres. 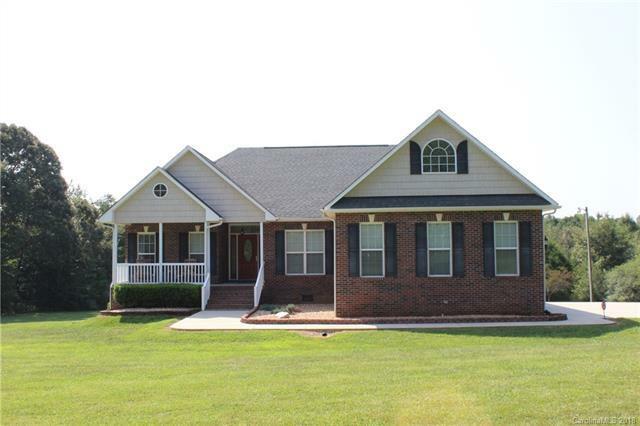 Master bedroom has access to back deck and master shower has jetted tub and tiled shower. Sit on the front porch and enjoy the quiet view or go to the back and enjoy another quiet view by the pool. Heat the pool to enjoy for a few extra months if you would like! Detached 40 x 30 outbuilding in the back for all your storage needs. Check this one out today! Tax value reflected is only for 1 parcel with home and 2.99 acres.